Danny Cipriani is in police custody following an incident in Jersey. 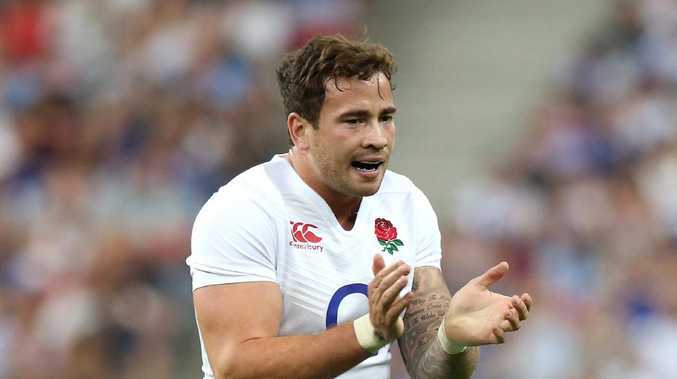 ENGLAND rugby star and former Melbourne Rebels import Danny Cipriani has been charged with assaulting police during an incident in the English Channel island of Jersey. 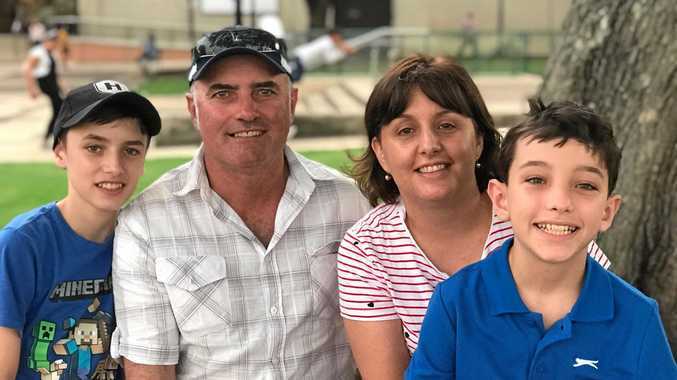 The 30-year-old fly-half was also charged with resisting arrest, common assault, larceny and being disorderly on licensed premises, police said. He has been remanded in custody and will appear at Jersey Magistrates' Court on Thursday morning (UK time). His English club, Gloucester, said in a statement: "Gloucester Rugby are aware of an incident involving Danny Cipriani in the early hours of Wednesday morning following an incident at a St Helier nightclub." The club confirmed he had been arrested and charged, and that he would be appearing in court. A States of Jersey Police spokesman said: "This afternoon 30-year-old Daniel Cipriani was charged with common assault, larceny, assault on police, resisting arrest and disorderly on licensed premises. "He's been remanded in custody until his court appearance at the magistrates' court at 10am tomorrow. "He was arrested at the early hours of this morning following an incident in Mulcaster Street in St Helier." The incident is the latest fall from grace for the talented but troubled No.10, who also got into hot water during his time in Melbourne in 2011-12. 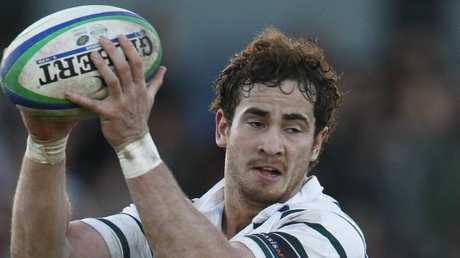 Danny Cipriani playing for the Warringah Rats against Manly Marlins. Cipriani, who was recalled by England's Australian coach Eddie Jones to play South Africa in June, was fined by the Rebels in 2011 after being accused of taking a bottle of vodka from behind a Melbourne bar following a loss to the Waratahs. Later that season, Cipriani and Rebels teammate Richard Kingi were stood down by the club after failing to meet standards set by the playing group. UK tabloid The Sun quoted a source who claimed to have witnessed the "boozed up nightclub row." "Cipriani was in a row after a big disagreement with a burly bouncer," the source said. 'The player wanted to take his drink outside, but wasn't allowed. "An argument broke out and there was a scuffle as the duo spilled out into the street. "Cipriani, looking unsteady on his feet, was detained. "Police were called straight away."